I think the weather is finally cooling off here in Texas (crossing my fingers for no more 100 degree days this year) and pumpkin everything has arrived! It's everywhere and I love it but I have to really be in the mood for it to fully enjoy it. 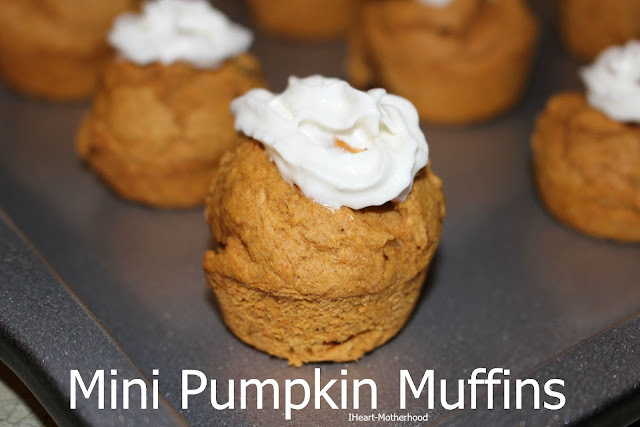 These simple Mini Pumpkin Muffins are full of flavor and will be sure to please your "pumpkin hungry" crowd this season! My family really enjoyed them and I hope yours do too! Pre-heat your oven to 350 degrees, spray your mini-muffin pan with non-stick oil. Using a large mixing bowl, mix together the entire box of spice cake mix and the entire can of pumpkin. Top with cool whip and enjoy! Makes about 35 mini muffins! Yummy! This recipe looks super easy and very yummy. I don't know if I ever combined pumpkin and chocolate together before, but I bet it's good. Pinned this recipe, thanks! 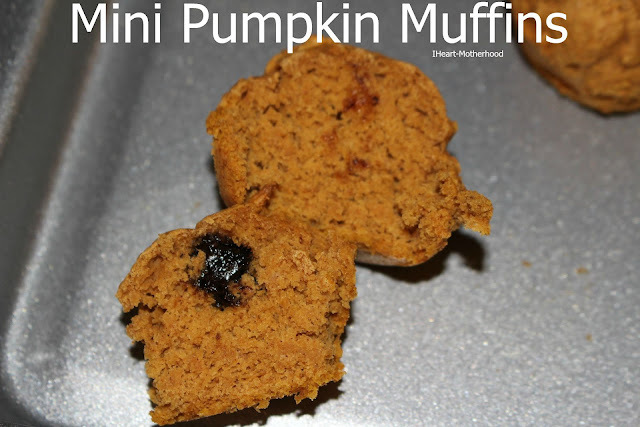 Those look delicious and are perfect for the fall season.